IPOPI is pleased to be the recipient of a CSL Behring donation resulting from symbolic donations collected during the European Society for Immunodeficiencies (ESDI) meeting, last October in Lisbon, Portugal. 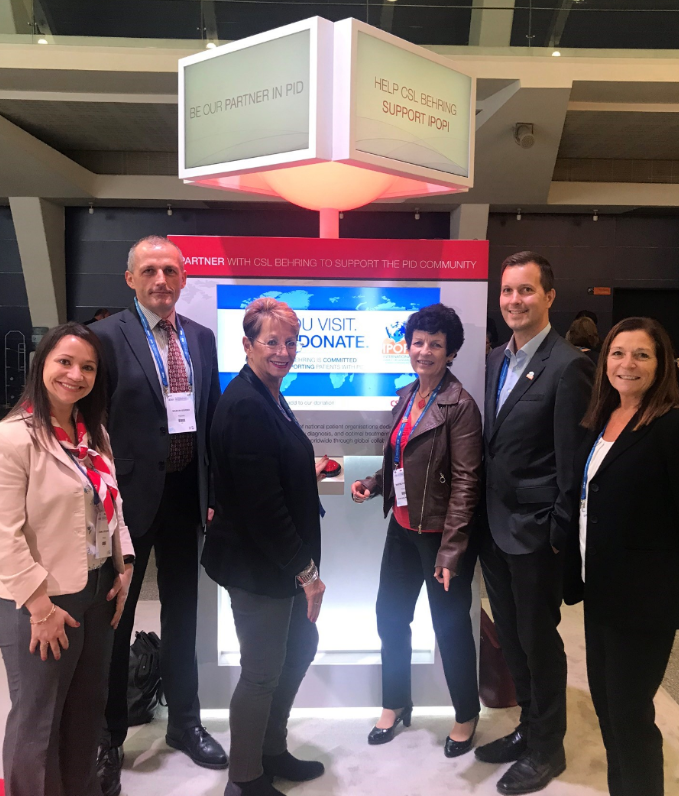 CSL Behring dedicated a section of their company booth at the ESID meeting to encourage attendees to participate in a donation activity under the theme “Powerful Partners – Stronger Together” to benefit IPOPI, by simply symbolically pushing on the donation kiosk button. Patient video testimonials were also displayed in the donation centre. This resulted in a 15,000€ donation being made to IPOPI and which will be put to good use to support the IPOPI clinical care webinar programme. Stay tuned for more news soon on the upcoming 2nd IPOPI clinical care webinar!